﻿ Teri Ann's - Ohio. Find It Here. 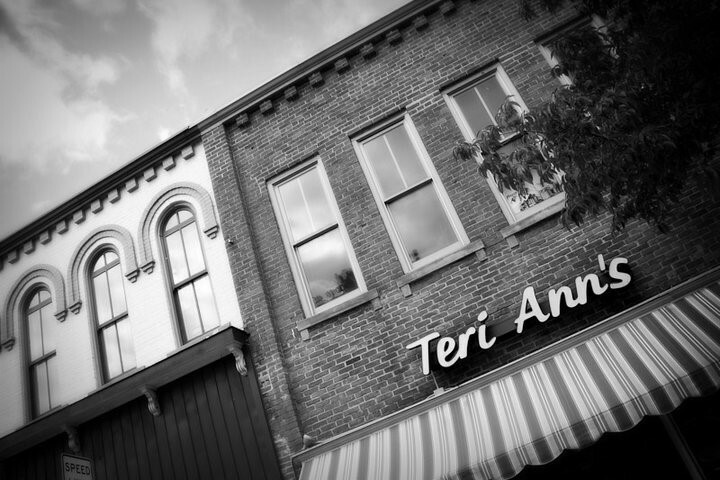 In 1961, George and Virginia Zide had a vision of fashion and service in their historic downtown of Marietta, Ohio and so Teri Anns was created, named after their oldest child, Teri Ann. The early 70s brought change, at their untimely death, and the store was inherited by their children. They are happily still honoring their parents vision of fashion and service. Teri Anns has thrived and prospered through the years under the management and leadership of the sisters, Teri Ann (Zide) Pfeffer, Shelly (Zide) Medley and Missy (Zide) Deskins. Amazing and knowledgeable staff, awesome and loyal customers combine to make Teri Anns the fashion destination imagined by George and Virginia Zide back in 1961. We look forward as we enter 2018 in celebration and anticipation of 57 years of fashion! Mariettas finest ladies shop for over 50 years.Experience our superb customer service and an impressive selection of quality womens clothing and accessories. At Teri Anns, we offer the latest in designer fashions along with individual service. Shopping as it was meant to be!